Whether you need brake work, tire rotation, engine tune-ups or a more complex repair or replacement, you’ve come to the right place. The folks at Jerry Lambert Automotive are here to serve you no matter the size or scope of your needs, with a family atmosphere complemented by the highest quality auto services in the state. 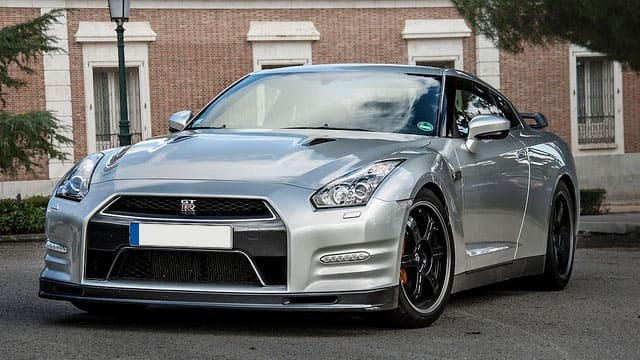 We service all major vehicle brands, including a Nissan line that’s growing in popularity. Nissan produces a number of different models, including the Maxima, Altima, Sentra, Leaf, Cube, Roadster, Versa, Rogue, Xterra, Armada, Quest and others. Worried about a particular trait for a given make or model? Don’t be – our ASE-certified mechanics have seen every variety of Nissan, and we’re always prepared to work on whatever model you bring to us. At Jerry Lambert, we pride ourselves on transparency in the service realm. Unlike many other shops that nickel and dime you with unexpected expenses, we communicate with you throughout your service process so you know exactly what’s being done on your vehicle. We won’t get started on any fixes that cost you money, even a few dollars, until you give us the approval – you’ll never see unexpected costs on your bill come checkout time. Combine this with our high quality technicians and our first-rate customer service, and you’re looking at a complete auto service experience. We’re proud to boast a consistent A+ rating with the Better Business Bureau, something we attribute to the continuation of our family-owned business legacy that prioritizes personal service and care. We’ve come a long way since forming as a full-service gas station nearly 60 years ago, but our commitment to the customer over all else hasn’t gone anywhere. So if your Nissan is in need of repairs or service, don’t hesitate. Call us at Jerry Lambert Automotive today, or drop by our convenient 3300 South location that serves all of Salt Lake City and surrounding areas like Sandy, Midvale, Draper and others.